Have you had an interest in learning to knit, but didn't know where to get started? Have you been intimidated by the complicated patterns of difficult projects? Would you like to get started with a small project that can be completed in a short period of time? Have you admired the new trend of cowl and infinity scarves? Would you like to wear a unique handcrafted creation made by you? Do you like to give unique handcrafted gifts? Are you looking for a pattern to teach to a younger knitter in your life? If you answered "yes" to any of these questions, this book is for you! In this book, you will find: a review of the main knitting stitches and materials used for scarves, for new knitters a description of the abbreviations for knitting stitches commonly used 8 patterns for completed scarves; straight, cowl and infinity, using only knit and purl stitches PLUS accompanying photo images of each scarf to allow you to see the finished results. Are you ready to get started? 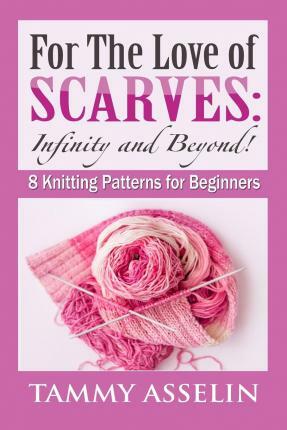 Browse through the patterns, pick a favorite, choose your yarn, get your knitting needles and you are ready to begin!"